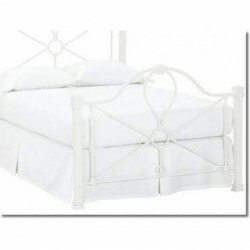 A valance made with breaks at each corner to allow for your bedstead or iron bed posts. Split Corner Valance in Panama Fabric.A much more substantial fabric for a fuller look. Panama..
Split Corner Valance to fit 4ft 6" x 6ft 3" Double BedMade in a range of 11 bright colours in easy c..
Split Corner Valance to fit 5ft x 6ft 6" King BedMade in a range of 11 bright colours in easy care 5..
Split Corner Valance to fit 6ft x 6ft 6" Super King BedMade in a range of 11 bright colours in easy ..
Split Corner Valance in 400 Thread CountMade with split corners, ideal for iron beds or any bedstead..
Split Corner Valance in 1000 Thread CountMade with split corners, ideal for iron beds or any bedstea..